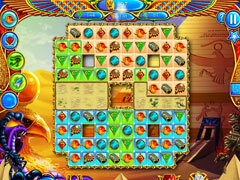 Travel back in time to the world of ancient Egypt! 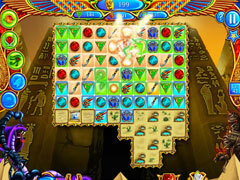 Help the pharaoh Thabit construct a magical and glorious city to honor the gods who help him in his darkest hour in The Legend of Egypt – Jewels of the Gods, a magnificently captivating match-3 game. Although Thabit has been a harsh ruler over his land in Egypt, the merciful Isis and Osiris take pity on him when he pleads for their help to save Aziza his cherished wife who suffers with a disease that will take her from him too soon. 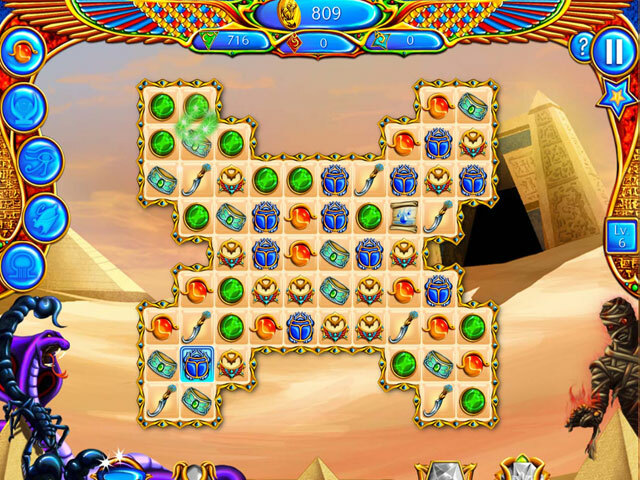 In exchange for their help, Thabit commits to creating the most magnificent city Egypt has ever known. With a newly opened heart, Thabit provides generously for his joyful residents. 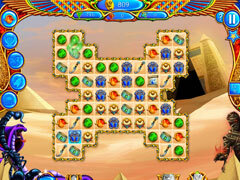 -Tons of power-ups and bonuses!